Read more about Unsere Erfahrung – Ihr Vorteil: Nehmen Sie unsere Beratung in Anspruch! Read more about Our experience - your advantage: Take our advice and services! Where graphic and visual ideas are subject to technical or physical limitations, we offer professional solutions worldwide. We are your professional partner for unusual painting projects and murals. 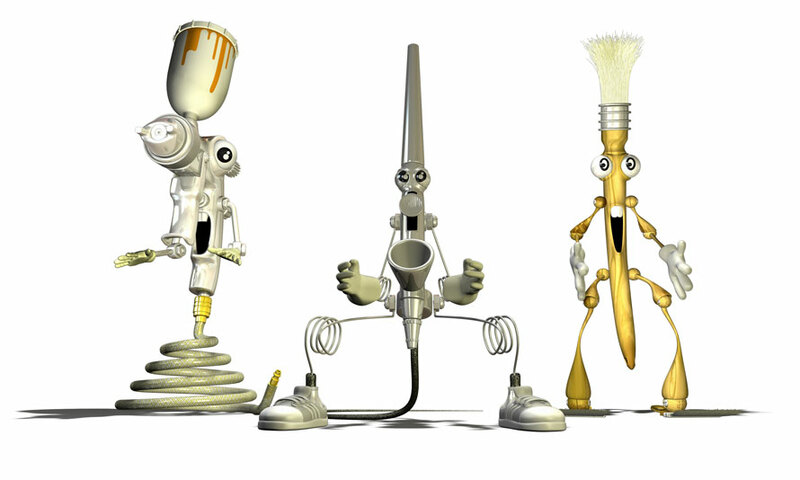 We have more than 20 years of airbrushing experience, from which we would like you to benefit. A competent partner network is the guarantor for the professional realization of complex projects in top quality. For the implementation of mural painting and design contracts, we are at your service worldwide. We keep our working hours very flexible and can guarantee such a timely completion of your project. smart art deals since the company was founded in 1993 with the theme airbrush design. The range of possibilities extends from airbrush works and paintings, or special- and design-paintjobs on any kind of objects, as well as wall designs. Through exceptional airbrush design paintings and logo paintings on aircrafts of every size, we can build a world-renowned name in this industry. Similarly the airbrush-design painting of a yacht belongs to our portfolio. Masterful gradient paintings in large dimensions have been painted for the first time by smart art in aviation. To paint gradients is a major challenge in the design airbrush painting. This is particularly true for large size. The object painting is another of our specialties. This refers to the painting and painting of figures and sculptures. This can be both art figures for the public space, as well as 3D sculptures for exhibition and POV. On request we serve with the help of our partner companies the entire process from the design of a 3D sculpture on the compilation by 3D printing or milling to the finished painted product. But even wall paintings and murals are created in airbrush technique, as well as other painting techniques. Here we offer large format painting at facades with individual motives. These can be specified by the customer. Alternatively, we offer professional layouts at by a customer briefing. Besides that, create facade designs that consist not necessarily from pictorial motifs. Facade labels, promotional labels or color concepts are implemented and designed by us as well. Our facade painter paint 3D facade images or illusion painting (also called trompe l'oeil) as well versed as contemporary street art and graffiti images. Street art is currently a very popular form of expression in the art of facades, that will be picked up gladly by advertising agencies. Street Art has evolved from the graffiti scene and is now the general term for an urban and sub-cultural art in architecture. Wall design with airbrush design and traditional painting techniques is also very popular with the swimming pool painting, so to swimming pool images. Here classic designs are often represented as illusion painting using the trompe o'leil technique. Alternatively, however, murals and airbrush design with predominantly Caribbean motifs. Floor painting and ceiling painting are also executable as illusion painting. Another very interesting wall design in addition to airbrush and mural paintings, provide material imitations. Here, textures and materials are artistically perfectly modeled. The palette ranges from marble imitation wooden replica, concrete look, or metal coating. Concrete imitation or concrete texture is known in architecture as Imi-beton. In contrast to these Imi-beton plates, the artistically designed imitation material can be applied to all three-dimensional body. The metal coating, means a wall coating by use of a real metal color, is a very modern type of wall decoration. Here various metal colors are applied. By different processing and oxidation, the variations are very numerous. The palette ranges from rust look, copper look, and iron imitation, aluminum look in grinding optics or smoothing technique.